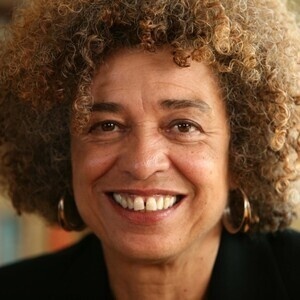 Scholar, author, and activist, Dr. Angela Davis has been deeply involved in movements for liberation and social justice around the world for decades. Her work as an educator both at the university level and in the broader public sphere has always emphasized the importance of building up communities of struggle for economic, racial, and gender justice. She is widely known for her involvement in the fight for prison reform and her associations with the Black Panther Party and women’s organizations. Davis is Professor Emerita at the University of California, Santa Cruz and has also taught at UC Berkley, Stanford University and Vassar College. Davis is the other of nine books including The Meaning of Freedom: And Other Difficult Dialogues, Women, Race and Gender and Freedom Is a Constant Struggle: Ferguson, Palestine, and the Foundations of a Movement. From serving time on the FBI’s Ten Most Wanted List to advocating for radical self-care and becoming a legendary civil rights icon, Davis will discuss leadership and resilience and include tools for combating racism today. General Public – $5:00; Tickets available at UD box offices beginning February 15th (Limit 2) if available. The event was very well executed, and Angela Davis was, of course, great. Thanks for bringing her to campus. I thoroughly enjoyed listening to Angela Davis speak. Her words were very enlightening and will hopefully inspire others to take action in combating social injustices.